The February 15 editorial by your former managing editor is long on hyperbole and short on facts. With the recent furor over what has been deemed “fake news”, an attempt should have been made to get the facts straight. 1. In spite of his misgivings about demonstrating proficiency on a firing range, Tennesseans are legally carrying guns in their cars without training or permits every day, no problem. Tennessee recognizes permits from all states, including Georgia, which has no required training. Has that been a problem, other than in the imagination of newspaper columnists and liberal Democrat politicians? 2. A total of thirty states authorize Constitutional Open Carry. This means that folks in all those states carry without state mandated training. Where are all the resultant gunfights? 3. Alaska, Arizona, Idaho, Kansas, Maine, Vermont, West Virginia, and Wyoming do not require a permit to carry a handgun openly or concealed. No blood running in the streets. Are we Tennesseans just knuckle dragging hillbillies that can’t be likewise trusted? 4. Many Tennesseans, including many elderly urban residents simply cannot afford the high permitting cost on top of the price of an inexpensive handgun. This makes them defenseless whenever they step out of the house. Don’t their lives matter? 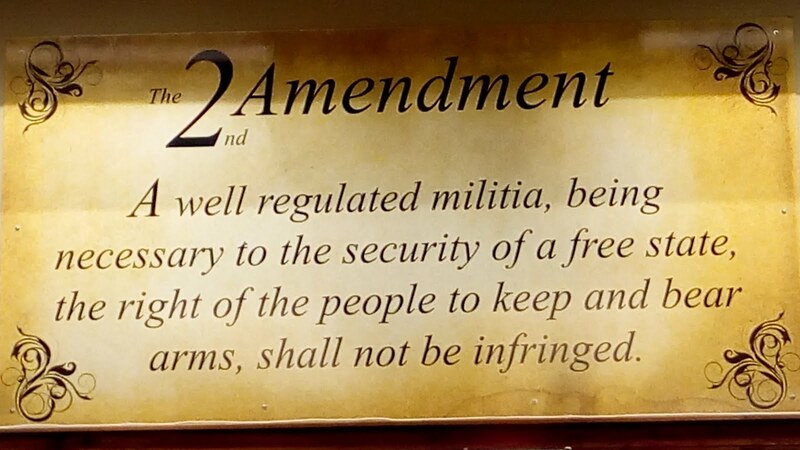 The writer’s false narrative vilifies Constitutional Carry. He attempts to equate it with yelling fire in a crowded theater. The difference is that the first is a benign act, the second is unconscionable, unless there actually is a fire. Edit, with thanks to Dan Meredith. Sorry, I can't control the volume. Also, see Richard Archie's column HERE. Currently, under Tennessee law, a person may carry a firearm in a vehicle without a handgun carry permit. Upon exiting the car, a permit is required. Generally, with a permit, entry into non-posted locations is legal in the state. Many government buildings, however, are posted. 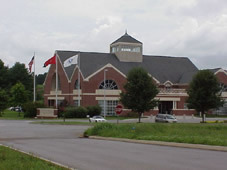 Among those is Farragut Town Hall and the library at Founders Park at Campbell Station. So if you have a permit, the law disarms you, and prevents you from providing for your own defense effectively! When HB0363 bill was introduced in the Tennessee House by Rep. Jason Zachary at the beginning of February, I thought, "It's a good bill." But unless a companion bill is introduced in the Tennessee Senate, it is DOA. Tennessee, like the U.S. Congress and most states, has a bicameral legislative body. This means a bill has to pass both house and senate before it can go to the governor for signature. This week, February 8, Senate Bill 0653 was filed for introduction in the Senate, so now it is a real bill. The bill, if passed, would require governmental entities to either remove their posting signs; or ante up the money and provide (some semblance) of security for those taxpayer owned facilities. One amendment I would like to see added: where there are security checkpoints, citizens should be able to check their guns at the door. The citizens of Tennessee need organizations that are willing to fight for our rights. Organizations that are willing to fight hard and not capitulate. The Bill Goodman Gun and Knife Shows working with the Tennessee Firearms Association is such a team of organizations. This week, it has filed an appeal of the trial court’s rulings last summer that determined that the Plaintiffs lacked “standing” to even question whether Nashville was violating its own charter restrictions and/or state law when the Fair Board decided at the end of 2015 to ban gun shows at the Fairgrounds unless the promoters imposed restrictions on the private sale of firearms that were not required by federal or state law. You can read the appellate brief here. If you are a TFA member and would like to help support this effort as well as others such as the TFA’s pending litigation against the City of Knoxville relative to Chilhowee Park, please consider a supplemental member donation. 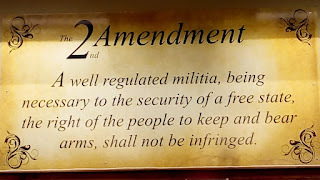 If you are not a TFA member or need to renew, please considering joining or renewing today as we continue to really fight for our rights to keep and bear arms.